In most states, felony and misdemeanor criminal cases are all heard in the same district courtrooms. In New Jersey, the system is set up a little differently. Here, non-felony offenses such as drunk driving or criminal mischief can be heard in municipal court. 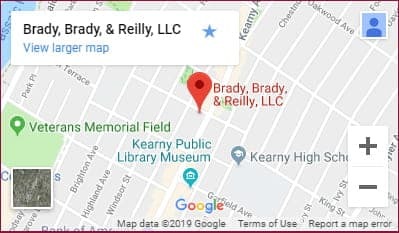 Attorneys at Brady, Brady & Reilly have been representing clients in the municipal courts of northeastern New Jersey for more than 30 years. As a result, they’ve learned more than just a little about how to be successful in this arena. Today, their experience, their knowledge of these courts and the credibility they’ve established through decades of hard work can all benefit you. Protect your rights by calling or contacting us today for a confidential consultation. In addition to providing DUI/DWI and traffic violations defense, our lawyers also defend clients in license suspension hearings and assist clients seeking to have their driver’s licenses reinstated. Whether you’ve been charged with a disorderly persons offense or arrested for driving drunk — it is important to seek out the advice and representation that an experienced criminal defense lawyer can provide. For a confidential consultation with a lawyer like that — call our Kearny, New Jersey law offices directly or feel free to contact us online as well.